Live Review: Two Things In One - Oakland Art & Soul Festival! 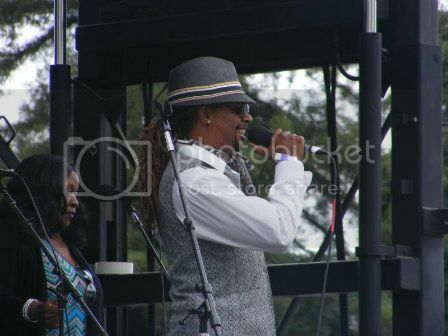 Two Things In One hit the Jefferson Stage at the Oakland Art & Soul Festival! Two Things In One was in the line up for the Oakland Art & Soul Festival on, August 5th. 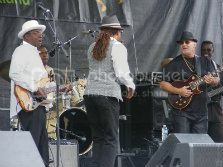 They performed on the Jefferson stage to a die-hard crowd of blues lovers. The band performed in the early afternoon, and catered to the audience with their version of the hit song, "Joy & Pain" by the renowned-lead vocalist, Frankie Beverly, from the R&B group Maze. The audience seemed to really enjoy that! Some were up dancing and snapping fingers, while others were seated singing along to the song. There were young and old in attendance, and no one could deny that all were enthralled and having a good time. 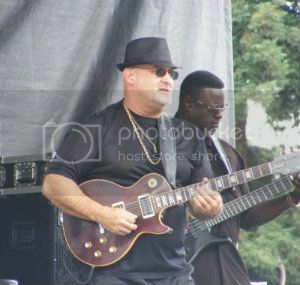 Original members, Michael Jeffries who performed with the group "Tower of Power" was lead vocalist, while Kevin Burton performed on the keyboard. 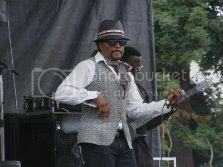 Michael Griggs was the original guitarist for the group, however, he passed away just before the Oakland Art & Soul Festival was to get underway. Condolences goes out to Mr. Griggs' family and friends. If you'd like more information on Two Things In One, connect with Michael Jeffries on Facebook. To read our Exclusive Interview with Michael Jeffries, please click here.